Skype has updated its app for both the Apple iPhone and Apple iPad and version 4.5 comes with a few new features. Both devices now have automatic call recovery for dropped calls. That should eliminate the scrambling and cursing and frustration that takes place after a call is dropped and you need to redial. 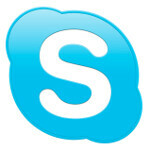 Now, Skype will automatically redial the number for you. The update also makes sure than IMs appear in correct order. And now, when you are registering with Skype when you first install the app, you can opt-out of all of those great, fantastic marketing opportunities that you are presented with. You can also opt-in if you'd like, but the important thing is that you have a choice. On the iPhone, emergency calls now get routed through the native dialer and on the iPad, you can now swipe from the left of the screen to see your recent conversations in a sidebar. There also has been some improvements made to the UI for the Apple iPad mini with spacing issue resolved and some changes made to accommodate the smaller 7.9 inch tablet. Six issues have been resolved with the update with perhaps the most serious being that if you have Skype on multiple devices, calls could not be ended. That is closely followed by correcting the problem that was responsible for the incorrect timestamp that had been put on some chat messages. But it is all behind you now, once you take the few seconds out of your busy day to update Skype on your Apple iPhone or Apple iPad. You can find the update in the App Store where it is a free download as usual. I hope they update Skype for Android soon. On my Nexus 7, I can't use Skype in portrait mode. It's really annoying considering that on my E4GT, I can use Skype in any orientation. what about Skype for WP7/8 users?